Forget calling your phone provider -- here are some simple things you can do for better cell signal. Related: Slow Wi-Fi? 5 Easy Ways to Boost Your Signal Now. 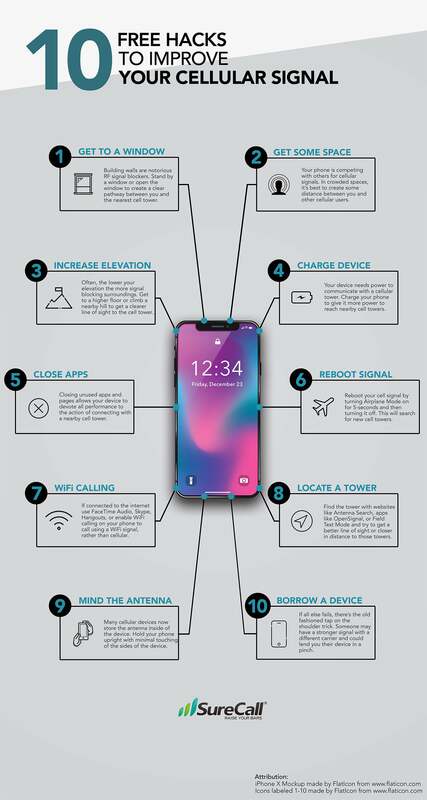 To learn more, here are 10 free hacks to improve your cellular signal from SureCall.